With this easy gluten free greek pasta recipe, a quick gluten free meal is on the table in less than ten minutes! This post is sponsored by Explore Cuisine. As always, all opinions are entirely my own. 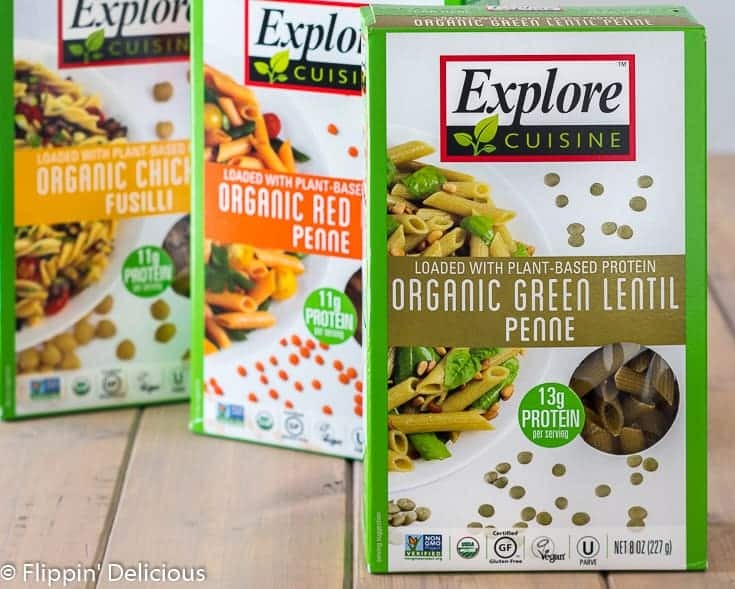 My family has relied on Explore Cuisine’s bean, lentil, and chickpea pastas as a quick easy gluten free meals solution more than four years, and they are still in our dinner rotation. 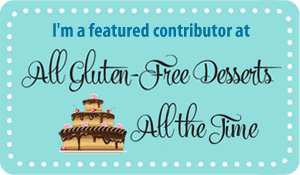 Thank you for supporting Flippin’ Delicious™, and the companies that I love keeping in my pantry. 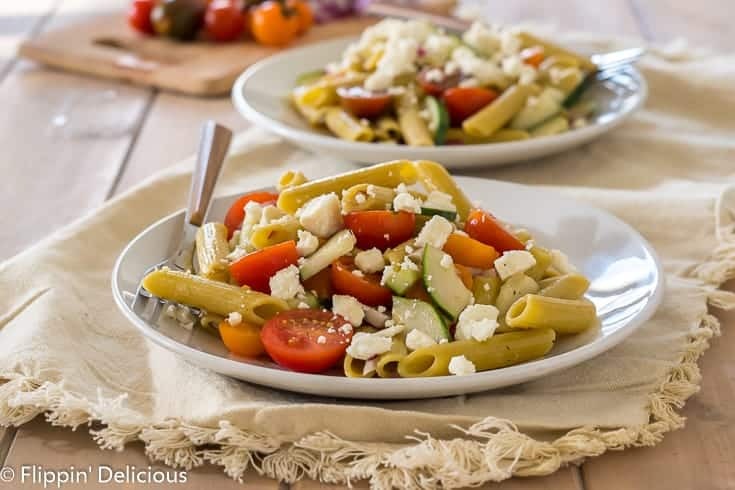 This gluten free greek pasta is one of our go-to quick and easy gluten free dinners! I love that it is filled with vegetables that my kids actually will touch, and that it is so quick and easy to make. The best part, dinner is ready in less than ten minutes! I toss the pasta into boiling water and by the time it has reached a perfect al dente, everything else is ready to go. While the pasta is cooking, all I have to do is slice some cherry tomatoes and a cucumber. Maybe dice a red onion. I love getting the kids to help me prep the ingredients! I’ve found that if they help make dinner, they are more likely to eat it! They can easily slice cucumbers and tomatoes with a butter knife, and love getting involved and helping! 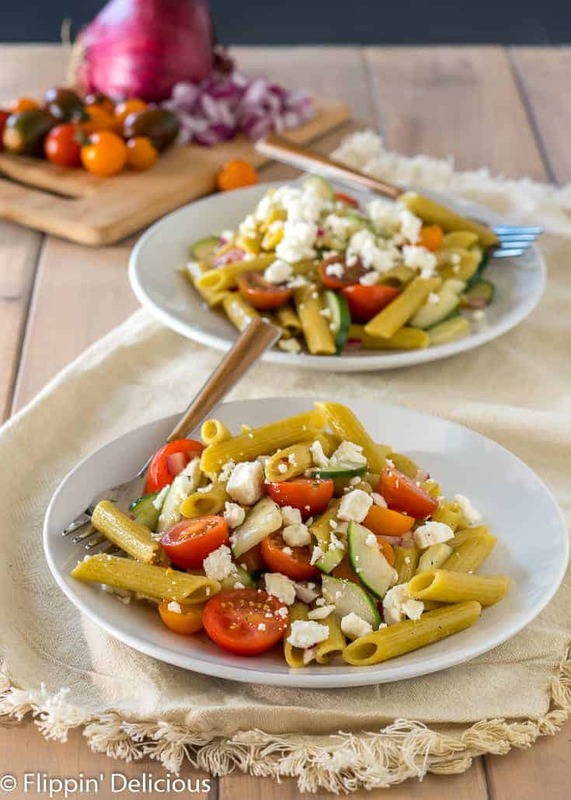 This gluten free greek pasta recipe is easily customizable to your family’s preferences. We make it a little different every time! Here are some of our favorite add-ins. The feta cheese is totally optional, but I love the saltiness and touch of creamy texture it adds. I keep it on the side since one of our daughters is dairy-free. 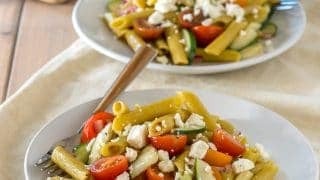 Without the feta, this gluten free greek pasta is vegan too! A regional restaurant makes a great Greek dressing our family loves. 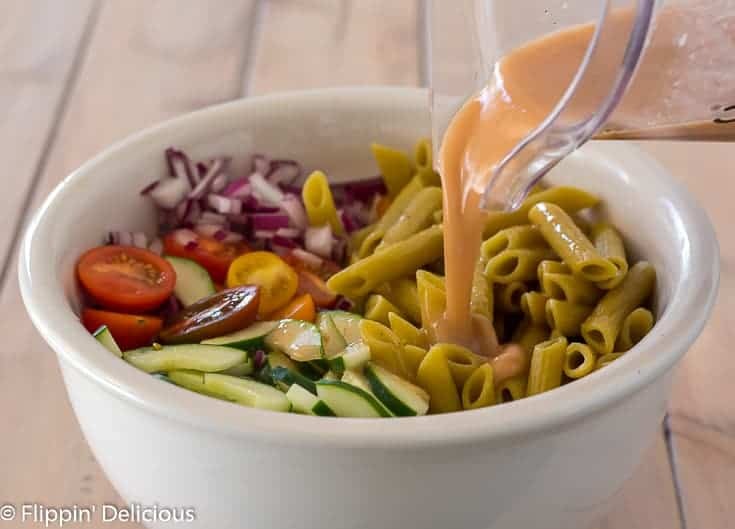 That is normally how we dress our greek pasta, but in case you don’t have something similar near you I wanted to create an easy vinaigrette with similar flavors. I mixed red wine vinegar, oregano, and a little honey and pepper in my blender. While blending I slowly poured olive oil in a steady stream so it didn’t separate. It made the perfect light vinaigrette and came together in just a few minutes! If you have a Greek dressing (or other dressing) your family loves, go ahead and use it instead. 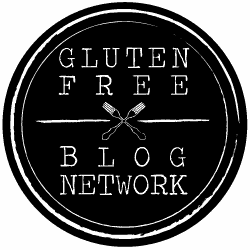 Why do we need quick easy gluten free meals? The following situation may be all too familiar to you. You ooze through the school pick-up, dash home and then burst into the house with kids and backpacks going every-which-way. One kid is asking for a snack and saying their hungry. You are going through backpacks to make sure the kids that have homework do their homework, check for notes from teachers, and clean out empty lunch boxes. It is a moment of pure chaos, further complicated by the ticking of the clock closer to dinner and evening extra-curricular activities (sports, scouts, whatever it may be). My kids get home from school later in the afternoon. By the time we get home, everyone is already hungry. I have two options. give them a snack and they won’t eat dinner. make them wait for dinner and deal with the crabbiness. I usually try to make them wait for dinner, and try to have dinner ready soon after we get home. When I plan ahead and put something in my Instant Pot or Slow Cooker it is easy. But on the days when I’ve been running errands all day, or was working away from home…. it is a struggle. The real truth is that time has always been in short supply at dinner time. It has always been a struggle! When I was in school, I barely had time to eat let alone cook. When the kids were littler, I struggled to make a healthy meal with a tired and hungry baby or toddler on my hip. I suspect our lives will just get busier in the dinnertime hour as our family grows older. More extra-curricular activities and more places to be. More homework. To help keep me calm during the dinnertime chaos I try to always have ingredients in my pantry for a quick and healthy meal. I first spotted Explore Cuisine when I was pregnant with Miss T four years ago. The protein and fiber on the packaging caught my eye! I was pregnant and chasing a two-year-old all day. I was tired, and still trying to feed my body with the nutrients my baby needed. When I’m pregnant I feel a lot better if I eat enough protein, but it was so hard for me to eat protein because nothing with meat sounded palatable. 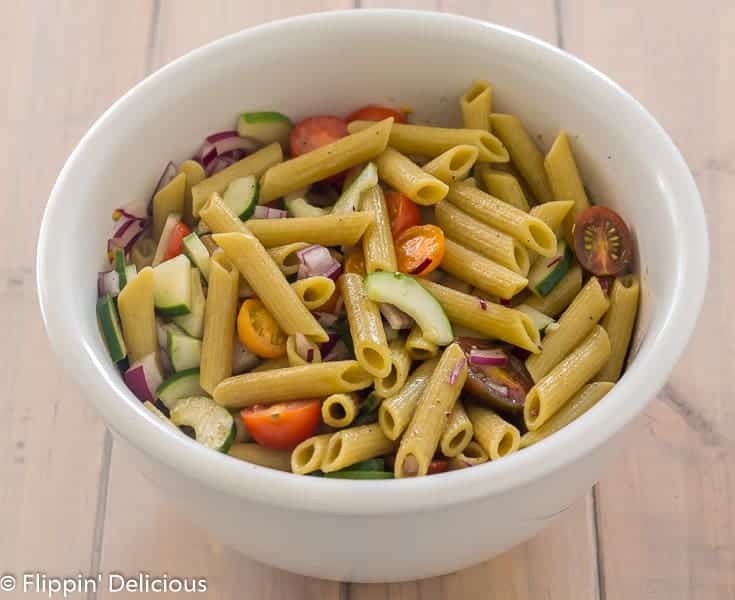 Explore Cuisine’s pasta packed with protein and fiber seemed like the perfect solution! Once I discovered it, we had it at least once a week for dinner for the rest of my pregnancy. Explore Cuisine’s pasta still makes it onto our family’s dinner table on a regular basis. Explore Cuisine is a pasta no-brainer. It is so easy to get dinner on the table in less than ten minutes by combining a few fresh ingredients while the pasta cooks! It is faster than a drive through, and definitely a healthier choice! Besides the higher protein and fiber, it is also organic, non-GMO, and vegan. We’ve dressed Explore Cuisine’s Pasta up many ways over the years. Sometimes we’ll just open a bottle of pasta sauce and call it good! We also love tossing it with pesto, or butter and cheese. I will sometimes sneak in some veggies by tossing it in a little squash puree. Explore Cuisine Pasta is actually one of our favorite camping meals! I just bring a jar of pasta sauce and add some edamame or adzuki bean spaghetti to it and let it simmer until tender. Such a quick and easy meal! Last month we went to Carlsbad Caverns and I let it simmer while we set up the tent. Dinner was ready first and we finished and cleaned up with plenty of time to drive from our campsite to the caverns to see the bats fly. 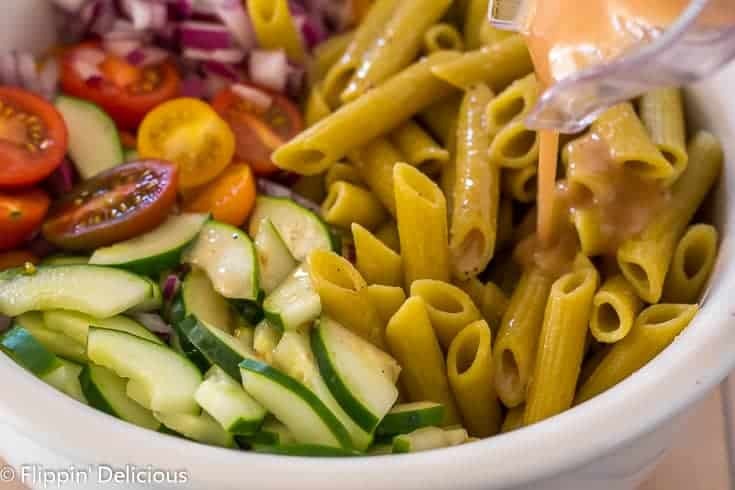 Because Explore Cuisine’s pasta’s are so much higher in protein compared to traditional pastas, we normally make a vegetarian meal and skip the meat! 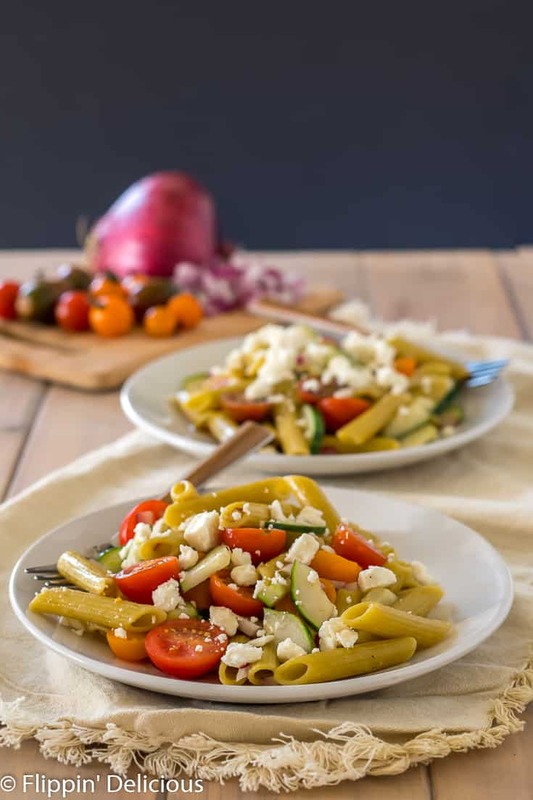 Of all the ways we’ve enjoyed Explore Cuisine’s bean, lentil and chickpea pasta, this gluten free Greek pasta is one of our favorites. It combines my kids favorite veggies in a light and tangy vinaigrette. Not only does this recipe make a great quick easy gluten free meal, it also is great for packing in lunch boxes for the next day. I like eating it warm best, so I’ll heat up leftovers and then pack them in a thermos to send. Everything for a balanced meal is in one dish! With this easy gluten free greek pasta recipe, a quick gluten free meals are on the table in less than ten minutes! Add the pasta to boiling water and cook according to package directions. 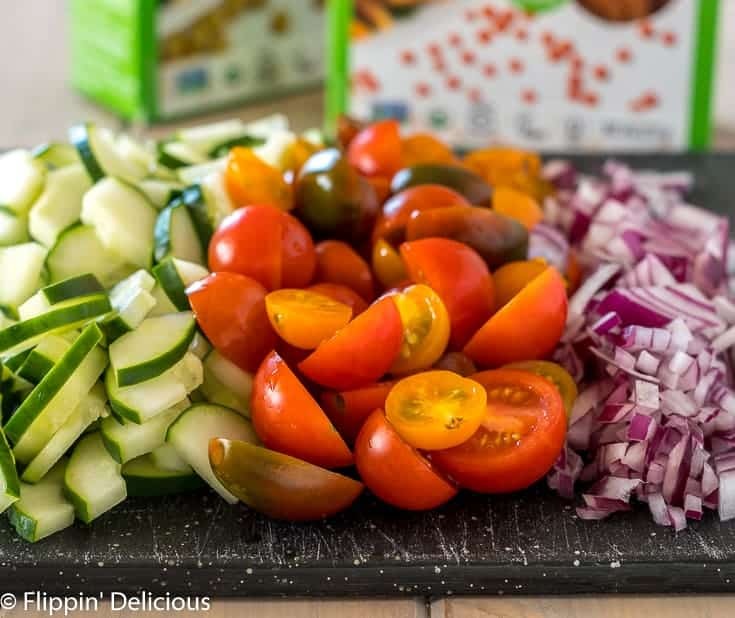 While the pasta cooks, slice and seed the cucumber, slice the tomatoes in half, and and dice the red onion. If you are making your own homemade Greek vinaigrette, use the recipe below. 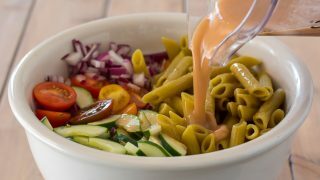 Drain the pasta and immediately toss with the Greek dressing. Add cucumber, tomatoes, and red onion. Add feta if using. I prefer to not rinse my pasta when I drain it. Easy Greek Dressing with red wine vinegar, extra virgin olive oil, oregano, pepper, and a touch of honey made in the blender! Add all of the ingredients except the oil to a blender. Blend on low speed, then slowly drizzle in the oil in a even stream while still blending. Blend for an additional 30-60 seconds, or until the dressing doesn't separate immediately. Makes 3/4 cup. 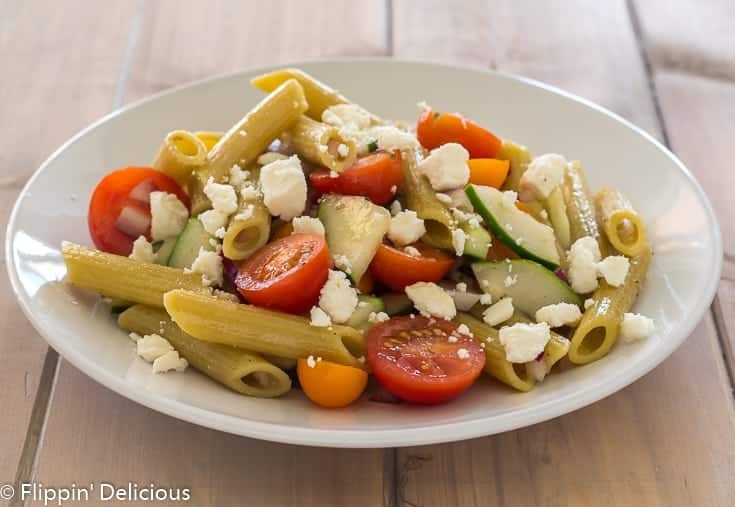 You'll only need half a recipe of greek dressing to make my gluten free greek pasta recipe. Store leftovers in the fridge, shake to recombine. We also use a lot of Explore pastas, love their lasagna noodles! I also love quick and easy meals since our weekdays are crazy busy too. Legume pasta was a game changer for me! I love that it isn’t heavy like normal pasta and love love the added benefits of getting in the goodness of legumes. Rounds out any meal. Can’t wait to make your version of this dish! Looks amazing! Thank you! It is a family favorite. I’m in! This will be perfect for busy weeknights. Yes! That is when we normally make it! Greek flavors are one of my favorite. I love using all of these ingredients in a salad. That is actually where I got the idea! One of my favorite salads is a greek salad from a regional restaurant I used to work for. I pulled the same ingredients they used in their salad to mix in our pasta, and made a dressing that tasted similar to theirs. Our family has been making and enjoying it for dinner for years now! 10 minute dinners are the most important ones. They are perfect for when you’re tired or sick, and those veggies make me want to make it right now. Ten minute dinners save the day all the time at our house. So true about when kids help with the prep they eat more! Same things happens in my house. 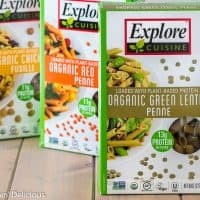 Can’t wait to try the Explore Cuisine pasta with my family! 10 min meals that are gluten free are perfect for us. With the kids in high school and our busy schedules, we are always looking for fast meals. I hope your high-schoolers love this pasta, Sandi!